Bills are NOT bonds – bills are short-term instruments, traditionally under 12 months maturity (bonds are over 1 year maturity). This year will mark my 32nd year in the business. I began my career in 1980 after spending several years in corporate life, which I did not find to my liking. I had too much of an independent streak and eventually came to the realization that I’d be much better off starting my own business. When I entered the financial world interest rates were beginning to peak, as the long upward climb in inflation was coming to an end under the leadership of Paul Volker at the Fed. It is hard to believe today that interest rates on treasuries were as high as 15.7%. The yields on money market funds were over 18%. Inflation rates were over 14%, with oil prices at $40 a barrel. Gold and silver would eventually peak at $850 and $50 an ounce, respectively. I spent my first decade in the business as a broker before transforming my business to a fee-based money management firm. All I sold in the 1980’s was fixed income. Who wanted to invest in stocks when you could get double digit returns in guaranteed deposits at a bank or by investing in government debt? I still remember one of my first trades—a 10-year treasury note paying a 15% interest rate. Fear has returned with a vengeance to the financial markets once again. The media has elevated the threat levels and seems bewildered. Why the sudden change? Less than a month ago it looked like markets were ready to break out to new highs. What went wrong? Is it America’s debt problems—the risk of default? Two weeks ago it was all about the debt ceiling debate, and then fears turned toward Europe. Now it is the downgrade of US Treasury debt. America’s pristine AAA credit rating has been lost. The answer is much broader than this. Sovereign debt issues have risen to the surface and that’s what makes the current environment dangerous. However, what is happening now goes beyond the market’s debt fears. Behind them is a growing recognition that the economy may be heading back into recession again and it appears the government is impotent to prevent it. QE1 brought us back from the abyss. The stimulus was supposed to supercharge the economy and bring down the unemployment rate. QE2 was sold as another “insurance policy” to pull the economy out of a soft patch. The stimulus is winding down and QE2 ended in June. The markets seem to be asking: What do we have to show for all this effort? Unemployment is rising and economic growth remains anemic and is at risk of another recession. In my opinion what the markets are signaling here is the “pricing in” of another US recession and all of the fallout this will generate. Below is a graph of the LEIs (leading economic indicators) and the S&P 500. Notice the parallel track. The LEIs began to rollover in April and that is when the stock market began to top out. The media is citing debt fears as the reason behind the downturn, but they are wrong. Treasury yields have fallen back down to levels not seen since the winter of 2008, yet if investors were worried over US solvency they wouldn’t be buying Treasuries. More likely is that the drop in “risk assets” reflects a corresponding decline in the LEIs and the declining prospects for US and global economic growth. Q1 economic growth was revised downward to 0.4% from an earlier estimate of 1.9%. Q2’s first initial estimate came in at 1.3% versus consensus of 1.8%. The experts have all downgraded GDP estimates for the year to the 2.5–3% range. Despite the evidence to the contrary, economists, Fed officials, and the Administration are still calling for a strong second-half recovery. The slack economic growth is being blamed on one-off events such as the Middle East uprisings, the Fukushima earthquake, and the rise in oil prices in late spring. We at PFS Group do not buy the political/financial balderdash of a strong second-half recovery. Unless something changes in the way of additional stimulus or a new form of QE3, we expect the economy to weaken further and the unemployment rate to continue to rise. We also expect further downgrades of US Treasury debt. Government intrusion into the economy and the markets have actually made things worse, not better. The economic stats confirm this assertion. The unemployment rate is higher, economic growth is lower (2007–2010 real GDP decreased at an annual rate of -0.3 %), and inflation rates have grown since the bottom of the recession. All we have to show for this intrusion into the economy by the government is a higher inflation rate. What accounts for this mismatch between economic strategy and economic outcome? The old economic and financial models seem to be breaking down. They were designed to work in an economy that was unencumbered by debt. The consumer debt supercycle ended in 2008. We moved on to the government debt supercycle which will also come to an end. We are now entering the final stages of the endgame which will lead to an earth shattering currency crisis centered on the US dollar. Despite numerous interventions all we have to show for our efforts is a series of bubbles and crashes. As the chart below demonstrates, every Fed rate-raising cycle has ended up breaking something either in the economy or in the financial markets. There have also been instances when the Fed has broken both the economy and the financial markets through a series of raising and lowering interest rates (percentage rate of interest plotted on y-axis). Easy monetary policy allowed investment bubbles to form, while a policy-tightening cycle brought about the demise of each bubble. All investment bubbles require a backdrop of easy money. Once a bubble is inflated, policy tightening causes it to burst. As a bubble deflates the central bank steps in again, adding liquidity to temper the economic slowdown. This pattern of boom-and-bust cycles has been operating with success for the better part of a century. It is now coming to an end. Because the downturns were tempered with more liquidity, the malinvestments of previous booms were never cleansed from the system. Instead of economic cleansing, growing debt imbalances have been allowed to accumulate. Higher consumer debt levels and the new reality of less available credit are reshaping spending patterns and lifestyles throughout the US economy. This is just one of the numerous macro trends that are reshaping global economies. There are other macro factors that are influencing economic outcomes and making our economic models outdated. It should be clear to the reader by now that something is amiss with economic policy and the concomitant prescriptions that accompany it. To sum up, what used to work isn’t working anymore. Even worse, policymakers keep advocating the same policy prescriptions, expecting different results each time they are applied. Some would argue that this is the definition of neurosis or insanity. The result is that our debt imbalances keep growing and are clearly on an unsustainable path. The 2007–2008 financial crises are a glimpse of what lies ahead in our future. What transpired during 2007–2008 is simply a warm-up act for a much bigger economic storm that is directly ahead of us. What’s more, there doesn’t seem to be the political will to confront it. As a result of the 2007–2008 credit crises our firm developed a proprietary financial stress index to alert us of forthcoming financial storms. We developed it in response to the Lehman Brothers bankruptcy and the financial domino effect that followed in its wake. It is one tool we have used to navigate subsequent storms. Last summer it triggered, along with other aspects of our model, a rise in cash levels to 40%. The PFS Group Financial Stress Index turned negative last Friday, the 4th negative signal since 1998 (based on our backtesting). Portfolio cash levels are now elevated. The greatest stress is coming from the equity market (-2.62), followed by the currency markets (-1.08), and the bond markets (-0.75). What drives the model is the fallout caused in financial markets by the same growing burden at all levels within various economies: government debt, consumer debt, and corporate debt. It is time to discuss financial risk and what is driving our financial stress model into negative territory. On the political front, the extension of the debt limit debate is over. Nothing meaningful was done, so it should come as no surprise that S&P just downgraded US Treasuries. Government-controlled and guaranteed entities Fannie Mae and Freddie Mac were also downgraded. All the downgrades were from AAA to AA+. The US government rescued the two mortgage giants in September 2008 and has funded them since the financial crisis. Both entities own and guarantee about half of all US mortgages and nearly all new mortgages issued since the financial crisis began. The other two major rating agencies, Moody’s and Fitch, are currently reviewing US Treasury debt and will have their own rating appraisal of it. S&P still has US Treasury debt on credit watch for possible further downgrades depending on the next round of budget cuts this November. As the US economy weakens, another round of wasteful government spending programs seems unlikely. The American public wants to see deficits reduced. Therefore, another round of wasteful government spending programs is off the political table for the moment. The political environment in Washington has changed from stimulus spending to budget cuts. The same shift is taking place at the state and local levels, with many state and local governments shedding jobs. Over 575,000 state and local government jobs have been lost since the peak in 2008 (see graph below). Unfortunately, the fiscal picture for most states doesn’t look any better for next year. Fiscal Year 2012 (which began on July 1st) will be the fourth consecutive year of painful budget cuts. Furthermore, an interesting dichotomy is beginning to emerge in the municipal bond markets. States that are shedding jobs they can’t afford to support are being rewarded by the markets, which are showing appetite for their lower bond yields—the capital markets are rewarding fiscal responsibility. Unlike the Federal government, states can’t print money. They must balance their books or borrow money to pay their bills. Responsible states are financing at lower interest rates while irresponsible states—and I include California, my state of residence, in this category—are seeing their bond ratings lowered and are having to finance at higher interest rates, which further exacerbates their deficits. Washington is also beginning to run into its own fiscal problems. Our major creditors such as China are calling for more fiscal discipline and less money printing. International agencies from the World Bank, to the IMF, to the United Nations are calling for responsible fiscal and monetary policy. There is also talk about replacing the dollar as the world’s reserve currency. On the day this was written, British Business Minister Vince Cable backed China’s call this last weekend for a new stable global reserve currency to replace the US dollar. So far the message doesn’t seem to be resonating within the Administration or with Congress. Most budget cuts are “smoke and mirrors,” with the majority of cuts taking place in the later years of this decade. Outside the President’s Deficit Commission and the Paul Ryan Plan, there doesn’t seem to be the stomach to tackle America’s deficit crisis. The tendency is to kick the can down the road until after the next presidential election when the hard choices will be forced on the next administration, whoever that turns out to be. Our economic problems can be boiled down to one issue: too much debt. As shown in the following graphs the US’s debt levels have accelerated over the last three decades to unsustainable levels. As mentioned earlier, as of this writing—Monday, August 8th, at 2PM Pacific Standard Time—the national debt was $14.587 trillion, and our national debt is growing at a rate of $4.02 billion per day! The picture doesn’t look much better at the state and local levels as shown below. The following graphs illustrate personal and corporate debt, which are also worrisome. Even more troublesome is the nation’s total debt outstanding as of yearend 2010: $52 trillion! But that isn’t the real story. The real story is that our debt is growing faster than our economy. Between the year 2001 and 2010 our national debt grew from $28 trillion to $52 trillion. During that same period US GDP went from $10 trillion to $14 trillion. Debt grew by $28 trillion while economic growth increased by $4 trillion. In other words: It is taking $6 of debt to produce $1 of economic growth. This is clearly unsustainable. As bad as those debt figures appear, they are only part of the story. These figures don’t include our unfunded entitlement liabilities, which are estimated to be another $60 trillion as of 2010. According to economist John Williams of Shadow Government Statistics (SGS), the 2010 Financial Report of the United States Government showed a GAAP-based deficit for 2010 of $2.08 trillion versus the reported deficit of $1.254 trillion. Broader GAAP-based federal deficits, including Social Security, Medicare, and Medicaid have been averaging between $4 and $5 trillion per year since 2008. Buried in the back pages of the debt extension debate have been the recent findings of the Social Security and Medicare trustees who have basically said both programs are insolvent. Even the US Post Office is broke, hemorrhaging $2–3 billion in losses every quarter. The Post Office recently announced it would stop making payments to its pension plan. As shown in the following graph taken from the President’s bi-partisan National Commission on Fiscal Responsibility and Reform, the national debt is on an unsustainable path. Financial Repression: The Only Way Out? So how are we going to dig our way out of this mess? According to professors and authors Kenneth Rogoff and Carmen M. Reinhart there are only five choices available to governments that are heavily laden with debt. Steady dose of financial repression accompanied by an equally steady dose of inflation. It is obvious that the US will be unable to “grow” its way out of its debt problems. To do that would take economic growth rates of 10% or more—these growth rates would have to be sustained for several decades. The more likely approach is a combination of strategies that will involve spending cuts, tax increases, and a healthy dose of inflation. The US will likely be inclined to use the same strategy that it used to reduce our debt after World War II. Economists refer to this strategy as “financial repression.” Financial repression involves keeping interest rates artificially low and running a higher inflation rate. The artificially low interest rates enable the government to finance its deficits at an artificially low rate of interest. This reduces the size of the deficit and the interest costs the government has to pay its bond holders. At the same time, running higher rates of inflation allows the government to grow the economy in nominal terms (GDP increases as the cost of goods and services rise due to inflation), which reduces the size of the deficit when compared to the nominal value of GDP (see graph below for an illustration of this point). The problem for the government is: How do you fool investors and holders of government bonds so they keep buying and holding your debt? You do this by understating the true rate of inflation. This is done by tinkering with how the Consumer Price Index (CPI) is computed. It should come as no surprise that as Congress grapples with entitlement costs they have suggested using a different rate for the CPI used to compute annual cost of living adjustments (COLA). By using various statistical measures, the Bureau of Labor Statistics (BLS) can alter the way the CPI is measured and computed. They did this in the 1990s in order to reduce Social Security and retirement costs. They are going to do this again. At a personal level you are going to see your cost of living continue to rise. However, in the financial media, politicians and Fed governors will likely continue to report low levels of inflation. It is all part of a “confidence game” the government needs to play with the markets and bond investors to keep the “true” state of the fiscal crisis from becoming apparent. I would like to illustrate this point in the CPI graphs shown below. The first graph is the current CPI as reported by the BLS (from www.bls.gov/cpi). Year over year it is annualizing at a 3.6% rate. The next graph is taken from John Williams’ Shadow Government Statistics (www.shadowstats.com). Notice the difference between the two inflation rates. The government is reporting an annualized rate of 3.6% while SGS reports the real inflation rate is running at an annual rate of 7.5%. According to SGS’s calculations, the US Government is intentionally understating the inflation rate by almost 50%. The second part of financial repression involves keeping interest rates capped. This is done by the Fed printing money or essentially buying the government’s debt. 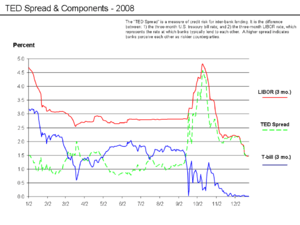 This can be seen in the graph of the Fed’s balance sheet and the table of Treasury yields (below). In my recent podcasts I have been highlighting the possibility of the US government pursuing a strategy of financial repression to dig itself out of its debt problems. That is why I expect that the next round of monetary stimulus is more likely to involve targeting interest rates, a policy implemented directly after World War II. It worked back then. The question now is: Will this policy work again and produce the same results? Financial repression eventually led the US to eliminate gold backing of the dollar. It may be more difficult to implement this time around. The Fed no longer dominates global monetary policy. It may find pulling the familiar monetary levers produces very different outcomes. A loose monetary policy that leads to a lower dollar helps US exports. However, the US economy is consumption-based. A lower dollar leads to higher commodity and import prices which further reduce consumer discretionary income. Therefore, while a lower dollar may help US exports it reverberates back in the form of higher inflation rates which harms consumption; a broken-down model which is leading to a broken-down economy. It should be apparent by now that US deficits and debt levels are unsustainable. The $64 trillion dollar question right now is what the next policy response will look like. Given a slowdown in the US economy and the risk of another recession, the growing debt dominoes in Europe, and a slowing Chinese economy, look for a coordinated policy response on a global scale. The Fed and other central banks around the world may act together to orchestrate a massive round of reflation. This would cause a complete reversal in the equity and commodity markets, pushing the dollar to record lows and launch precious metals into orbit. The bad news is that each new policy response will be met with higher commodity prices and inflation levels. This will be bad news for global consumers and good news for precious metals, commodities, and hard currencies. Like the rest of the market, I’ll be watching Fed monetary policy and US fiscal policy for cues as to my next move in my clients’ portfolios.